Dr. Willie Mae Hawkins is the founder of She Builds a Vineyard(TM). The program was inspired from her autobiography, She Builds a Vineyard: A Single Parent's Transformational Journey , an exemplification of struggles of a single parent who makes a stable life for herself and her son, with God on their side. It is a book of hope, faith, and transformation. "It is a book for all women!" ~noted by several readers. She is a motivational speaker, consultant, life coach, author & TV Host. www.DrWillieMae.Hawkins.com Her role as a participant in transforming lives began as a trailblazer for the single parent family and lecturing to leaders who desire to lead them. 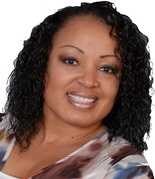 She is the founder and president of Spring, Inc.- A National Single Parenting Ministry. www.spring-inc.org. Dr. Hawkins has served as a Regional Women’s Ministry Consultant on behalf of the national office in the United Church of Christ (UCC) in Cleveland, Ohio, providing spiritual support for more than 20,000 women. She continues to offer her gifts as a speaker, lecturer, workshop/seminar presenter and mentor. Learn more....click here. Book Dr. Hawkins at your next event!